One criticism of presuppositional apologetics is that its advocates rarely if ever offer serious arguments for their distinctive claims (e.g., the claim that our ability to reason presupposes the existence of God). The criticism is overstated, but there is a measure of truth to it. I count myself a presuppositionalist, but I’ve been frustrated in the past by presuppositionalists who seem to imagine that declaring what Van Til’s “transcendental argument” purports to demonstrate is tantamount to actually making that demonstration. Simply asserting that “without God you can’t prove anything at all” or that “your very ability to reason presupposes the existence of God” does nothing whatsoever to explain why those weighty assertions should be believed. Likewise for the failure of non-Christians to answer questions asking them to account for their ability to reason, to know truths about the world, to make meaningful moral judgments, etc., in terms of their own worldviews. Questions cannot substitute for arguments, no matter how pointed those questions may be. If Knowledge Then God (2005) — a paper in which I summarize Van Til’s transcendental argument (actually multiple versions of it) and contrast it with the theistic arguments of Alvin Plantinga. The Theistic Preconditions of Knowledge (2006) — an argument that human knowledge presupposes the existence of God. Presuppositionalism and Frame’s Epistemology (2009) — an essay on John Frame’s distinctive contributions to epistemology and apologetics, in which I sketch out (in the final section) a triperspectival presuppositional critique of naturalism. The Lord of Non-Contradiction (2011) — an article (co-authored with Greg Welty) which argues for the existence of God from the laws of logic. In Defense of the Argument for God from Logic (2013) — our responses to several critiques of the argument in the previous article. Antitheism Presupposes Theism (2011) — a defense of Van Til’s provocative claim, which extends the argument for God from logic into an argument for God from any belief stance (including agnosticism). Atheism, Amoralism, and Arationalism (2016) — the outline of an argument to the effect that atheism cannot account for objective rationality. 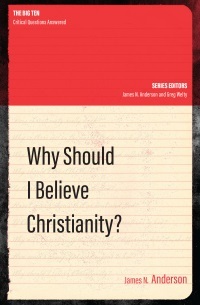 In addition, my book Why Should I Believe Christianity? offers a broadly presuppositional (and evidential!) 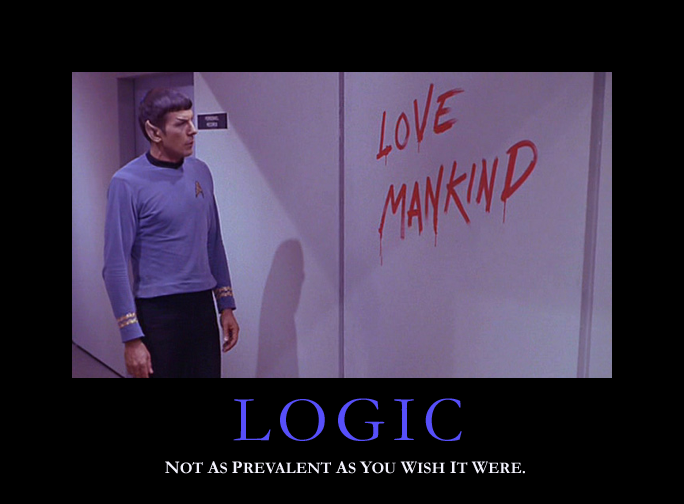 case for the biblical Christian worldview. Having been recently promoted to associate professor, I was invited to give a short lecture at our Fall convocation service last week. The audio of the lecture (“The Atheist’s Guide to Intellectual Suicide”) is now available on iTunes U. On a closely related note, check out these good thoughts by my colleague Mike Kruger on the current state of public debate over moral issues. Does Presuppositionalism Engage in Question-Begging? First, it engages in question-begging — assuming what one wants to prove. It begins with the assumption that God exists, and then concludes that God exists. Such reasoning would get you an “F” in any logic class worthy of the name! Dr. Copan is a gentleman and a scholar, so I’m sure he doesn’t realize quite how insulting this sounds to presuppositionalists! (For comparison, imagine someone claiming that evidentialists commit the fallacy of affirming the consequent because they use inductive inferences.) This criticism has been answered many times, so it’s disappointing to find it cropping up yet again (although perhaps presuppositionalists should take comfort from the fact that Dr. Copan doesn’t offer any new criticisms!). Even so, I’ll try to explain one more time why this complaint so badly misses the mark. The editor of Philosophia Christi has kindly permitted me to post on my website a preprint of my article “No Dilemma for the Proponent of the Transcendental Argument: A Response to David Reiter”. The article is scheduled to appear in the Summer 2011 issue along with a short rejoinder from David. It was a profitable exchange, and it’s gratifying that Philosophia Christi considers TAG to be worthy of critical scholarly discussion. Van Tilians should also be thankful for sympathetic, well-informed critics like David. May his tribe increase! P&R Publishing have kindly granted me permission to make available on my website the essay I contributed to the festschrift in honor of John Frame: “Presuppositionalism and Frame’s Epistemology,” in Speaking the Truth in Love: The Theology of John M. Frame, ed. John J. Hughes (P&R, 2009), 431-459. The essay didn’t turn out quite the way I’d hoped — you know how ideas always seem better in your head before they make it onto paper — but after looking over it again I’ve concluded it’s not as bad as I thought when I submitted it! It’s basically a defense of Frame’s epistemology and presuppositionalism, with some concrete apologetic application. Is there such thing as a “biblical epistemology”? Van Tilian presuppositionalists are among those who insist there is. Christian philosophers in general, however, tend to be skeptical of the idea. They’ll suggest that it makes no more sense to say there is a biblical theory of knowledge than to say there is a biblical theory of gravity. After all, the Bible is no more a philosophy textbook than a science textbook. Right?